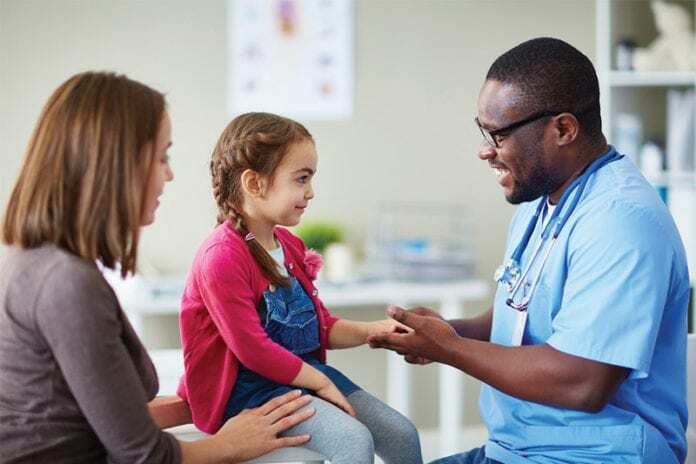 The factors that determine the level of patient satisfaction with pediatric care vary significantly depending on which departmental setting patients receive treatment within a healthcare system, according to a study published in the American Journal of Medical Quality. The findings could greatly aid improvements in patient experience in primary, specialty outpatient specialty, emergency, and inpatient care settings. "As patients move through an integrated care system, their needs and expectations change," said Stephen Lawless, MD, MBA, Enterprise Vice President of Quality and Safety at Nemours Children Health System and a co-author of the study. "What may be important in an emergency care setting may not matter as much to patients in primary care. These findings can help target resources toward improving the patient experience through influencing factors in each setting." The retrospective study reviewed more than 27,000 patient-satisfaction survey results over a three-year period at facilities of the Nemours Children's Health System in the Delaware Valley and at Thomas Jefferson University Medical Center in Philadelphia. Families were asked to rate their level of satisfaction with their child's care on a five-point scale for various factors such as physician care, nurse care, personal concern, waiting time and others. Physician care has the largest impact on overall pediatric patient satisfaction in outpatient specialty care. Nursing care was valued as most important in inpatient settings. Overall personal concern was a key factor in all areas, but had the largest effect on patients' satisfaction with emergency care. In primary care, personal concern and physician care, along with ease of the scheduling process are the most influential. Among other noteworthy findings, the research showed that each 10-minute interval of increased wait time in the primary care setting led to a reduction of three percentage points in overall patient satisfaction. In the emergency setting, each one-hour increase in total time spent there decreased satisfaction by nearly three percentage points. Additionally, patients who received a follow-up call after discharge from the emergency department rated their satisfaction significantly higher. Providing information about a patient's bill of rights in the inpatient care setting also boosted satisfaction scores. Researchers said the findings are particularly important because studies have shown the connection between improved patient satisfaction and positive health outcomes. Moreover, the study concluded, "awareness of the variability in impact of factors is crucial, as it helps healthcare leaders to design customized experiences to achieve optimal patient engagement in any environment within a health system." For example, Lawless said, "while many healthcare systems may be investing in cleaner waiting rooms, what patients actually value is a team-based approach that requires coordinated care from providers, nurses and staff to address needs of individual patients. As the field evolves, there is a need for recognition of the variability of patient needs across care settings."